Sexual dysfunction (SD) is prevalent in patients with major depressive disorder (MDD) and is also associated with second-generation antidepressants (SGADs) that are commonly used to treat the condition. Evidence indicates under-reporting of SD in efficacy studies. SD associated with antidepressant treatment is a serious side effect that may lead to early termination of treatment and worsening of quality of life. Our objective was to systematically assess the harms of SD associated with SGADs in adult patients with MDD by drug type. We retrieved English-language abstracts from PubMed, EMBASE, the Cochrane Library, PsycINFO, and International Pharmaceutical Abstracts from 1980 to October 2012 as well as from reference lists of pertinent review articles and grey literature searches. Two independent reviewers identified randomized controlled trials (RCTs) of at least 6 weeks’ duration and observational studies with at least 1,000 participants. Reviewers abstracted data on study design, conduct, participants, interventions, outcomes and method of SD ascertainment, and rated risk of bias. A senior reviewer checked and confirmed extracted data and risk-of-bias ratings. Random effects network meta-analysis using Bayesian methods for data from head-to-head trials and placebo-controlled comparisons; descriptive analyses calculating weighted mean rates from individual trials and observational studies. Data from 63 studies of low and moderate risk of bias (58 RCTs, five observational studies) with more than 26,000 patients treated with SGADs were included. Based on network meta-analyses of 66 pairwise comparisons from 37 RCTs, most comparisons showed a similar risk of SD among included SGADs. However, credible intervals were wide and included differences that would be considered clinically relevant. We observed three main patterns: bupropion had a statistically significantly lower risk of SD than some other SGADs, and both escitalopram and paroxetine showed a statistically significantly higher risk of SD than some other SGADs. We found reporting of harms related to SD inconsistent and insufficient in some trials. Most trials were conducted in highly selected populations. Search was restricted to English-language only. Because of the indirect nature of the comparisons, the often wide credible intervals, and the high variation in magnitude of outcome, we rated the overall strength of evidence with respect to our findings as low. The current degree of evidence does not allow a precise estimate of comparative risk of SD associated with a specific antidepressant. In the absence of such evidence, clinicians need to be aware of SD as a common adverse event and should discuss patients’ preferences before initiating antidepressant therapy. 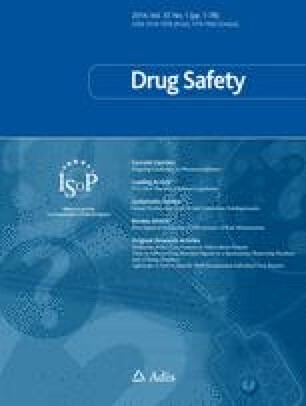 The online version of this article (doi: 10.1007/s40264-013-0129-4) contains supplementary material, which is available to authorized users. This project was originally funded under Contract No. HHSA-290-2007-10056I from the Agency for Healthcare Research and Quality, U.S. Department of Health and Human Services. The authors of this manuscript are responsible for its content. Statements in the manuscript should not be construed as endorsement by the Agency for Healthcare Research and Quality or the U.S. Department of Health and Human Services. No sources of funding were used to assist in the preparation of this systematic review. However, this review updates part of a larger comparative effectiveness review on SGAD , which was funded by and conducted for the US AHRQ, US Department of Health and Human Services under contract no. HHSA-290-2007-10056I. Amy Greenblatt has participated in research funded by the US AHRQ during the conduct of the study. Richard Hansen has received consulting fees from Daiichi Sankyo and Novartis for studies on unrelated topics, and has served as an expert witness for Allergan for Botox drug safety. Ursula Reichenpfader, Gerald Gartlehner, Laura C. Morgan, Barbara Nussbaumer, Megan Van Noord, Linda Lux, and Bradley N. Gaynes have no conflicts of interest that are directly relevant to the content of this study. Network meta-analyses were conducted by Tania Wilkins, PhD (The University of North Carolina at Chapel Hill, Gillings School of Global Public Health Biostatistics, 3101 McGavran-Greenberg Hall, Chapel Hill, NC 27599-7420, USA). Dias S, Welton NJ, Sutton AJ, Ades AE. NICE DSU Technical Support Document 2: a generalised linear modelling framework for pairwise and network meta-analysis of randomised controlled trials; 2011. http://www.nicedsu.org.uk (last updated March 2013).